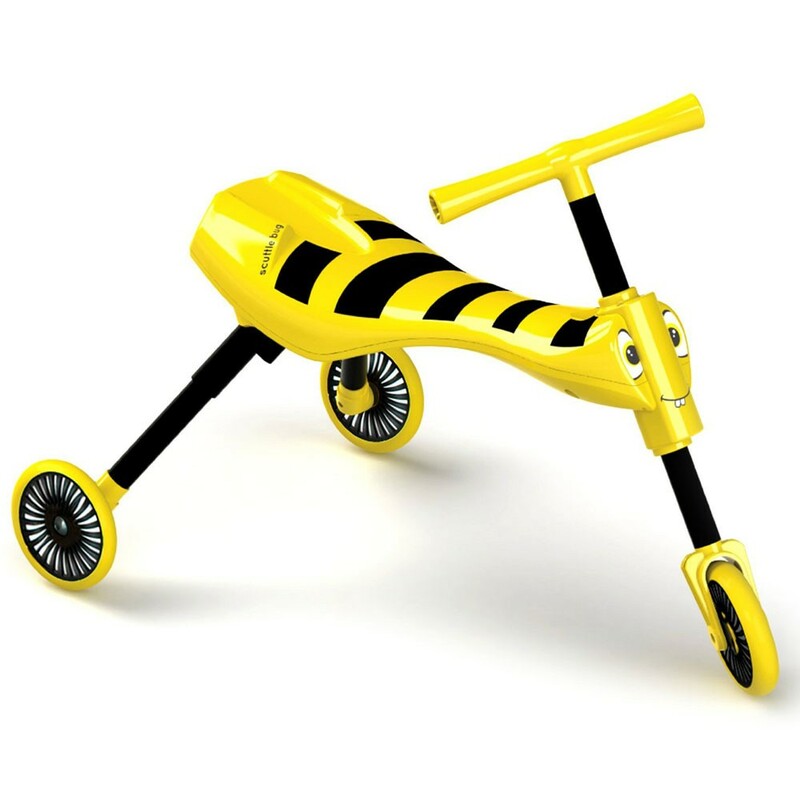 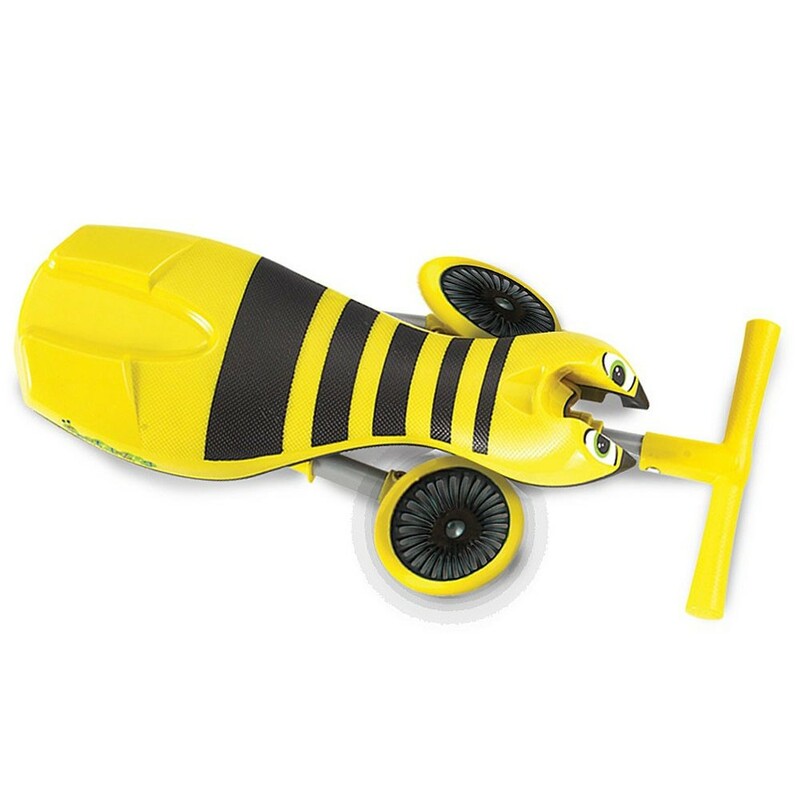 The bright yellow Scuttle Bug Bee trike is adorable, steady to ride-on, lightweight and easy-to-carry-along. 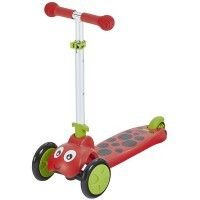 Scuttle Bug = 3 wheels + infinite active fun + lots of smiles. 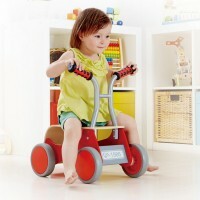 This tots first trike is ideal ride-on toy for the youngest kids. 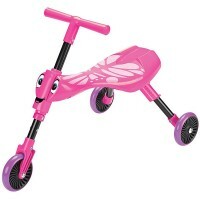 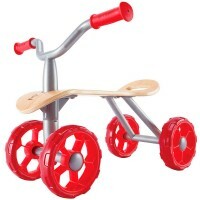 This high quality toddler trike is designed to teach toddlers to push and steer. 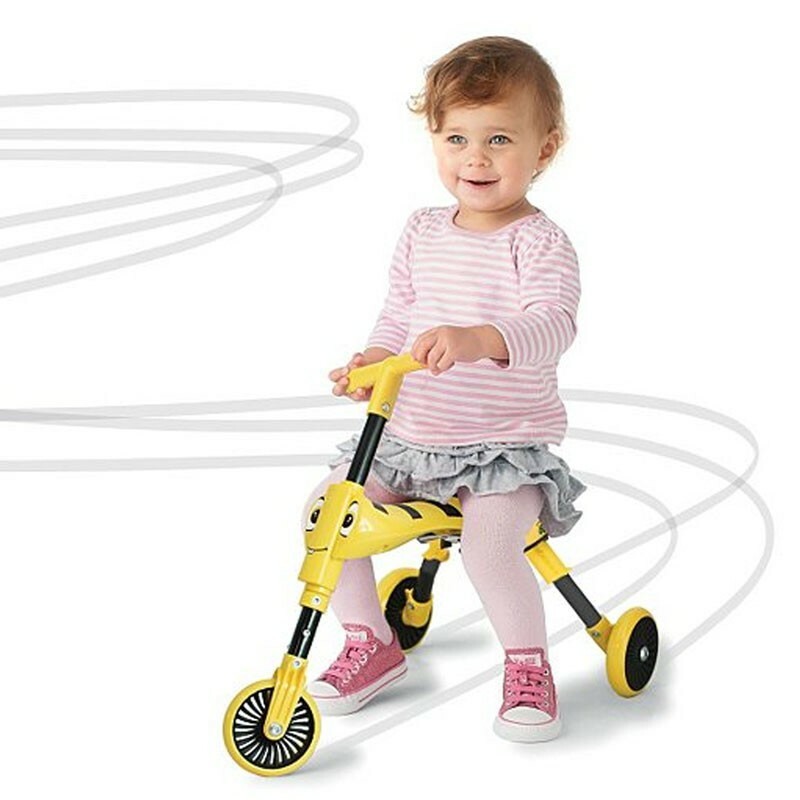 The Scuttle Bug Toddler Folding Tricycle - Yellow Bee looks adorable, is steady and easy-to-carry-along any where you go with your child. 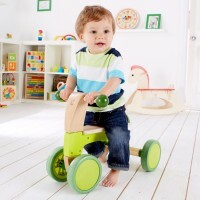 This toddler foldable bike features the front wheel steering that makes it easy to control the 3-wheeler, and quiet non-scratch wheels that make this kids trike perfect for indoor use. 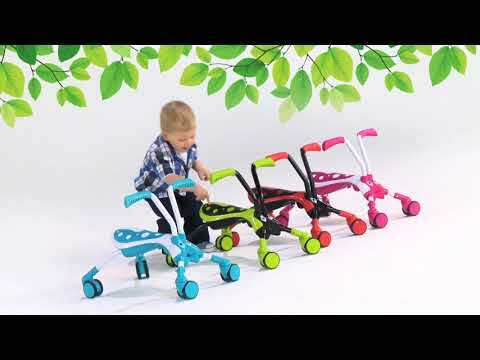 The first bike features compact folding system kids bike, that is also perfect to take-along to the park, to grandma's house, or on a family trip. 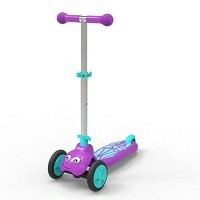 The ScuttleBug ride-on toy features the 3 step folding system that makes it quick and easy to set-up to get your young child moving. 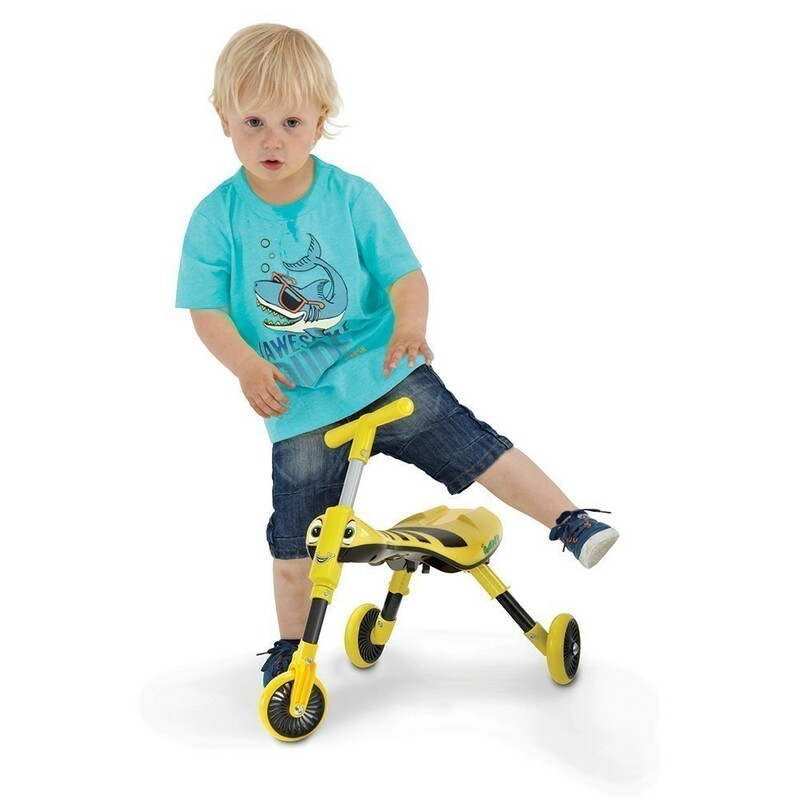 This push bike for toddlers can be folded from a full sized trike to about one third its original size in a minute. 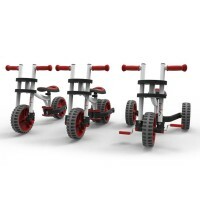 The kids trike is lightweight at just 4.2 lb., so even kids can carry it around. 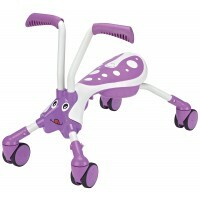 Scuttle Bug trike from Educational Toys Planet comes fully assembled and ready to ride-on. 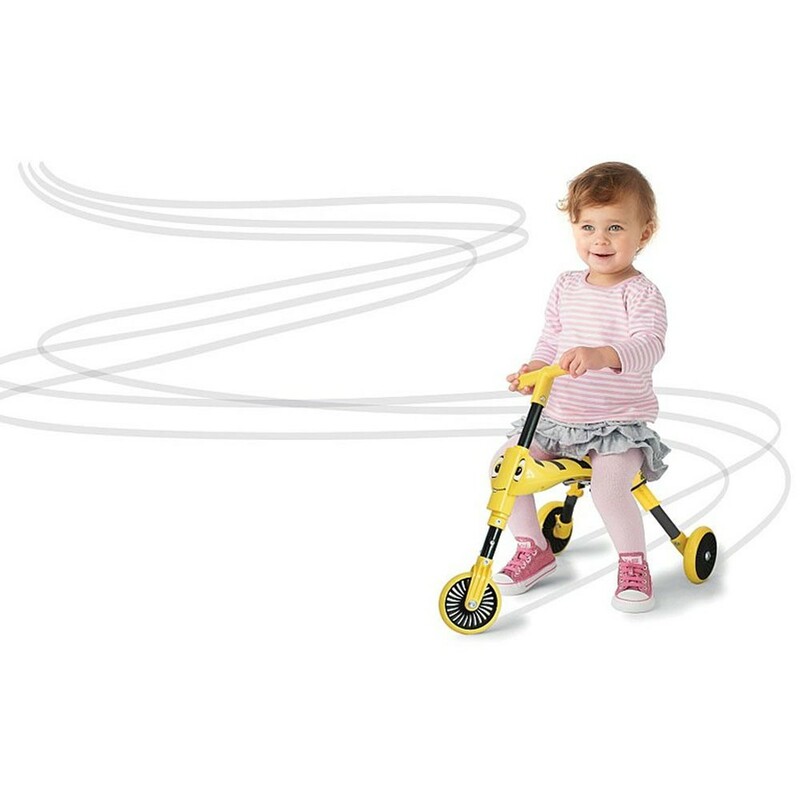 Let's get ready for some truly active play with this perfect first bike for kids! 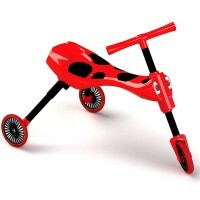 The tot tricycle is 23 inches long and 16 inches tall. 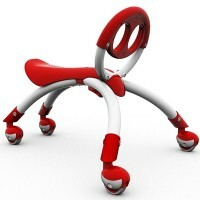 Maximum weight - 44 lbs. Dimensions of package 16" x 13" x 23"
Write your own review of Scuttle Bug Toddler Folding Tricycle - Yellow Bee.